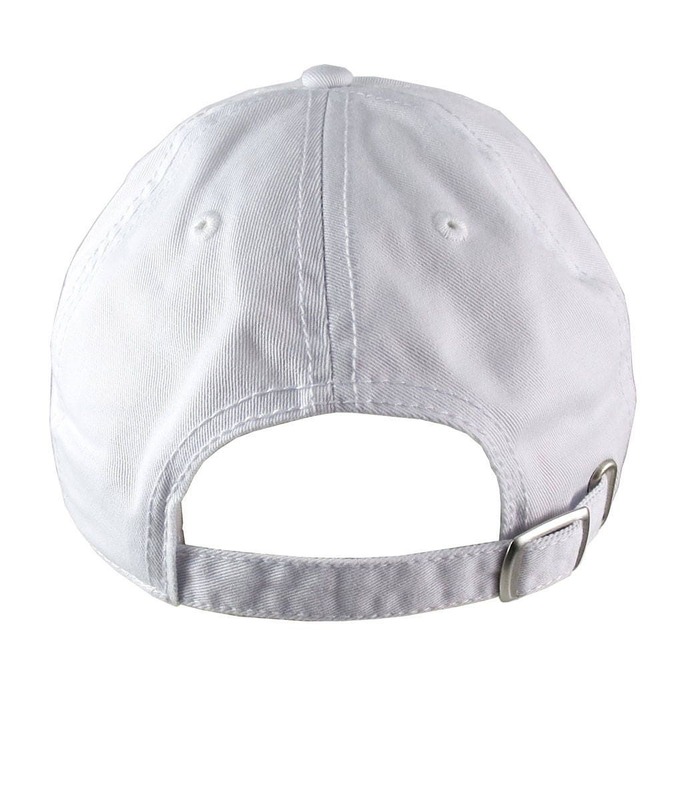 A casual fun adjustable baseball cap dad hat style in white. 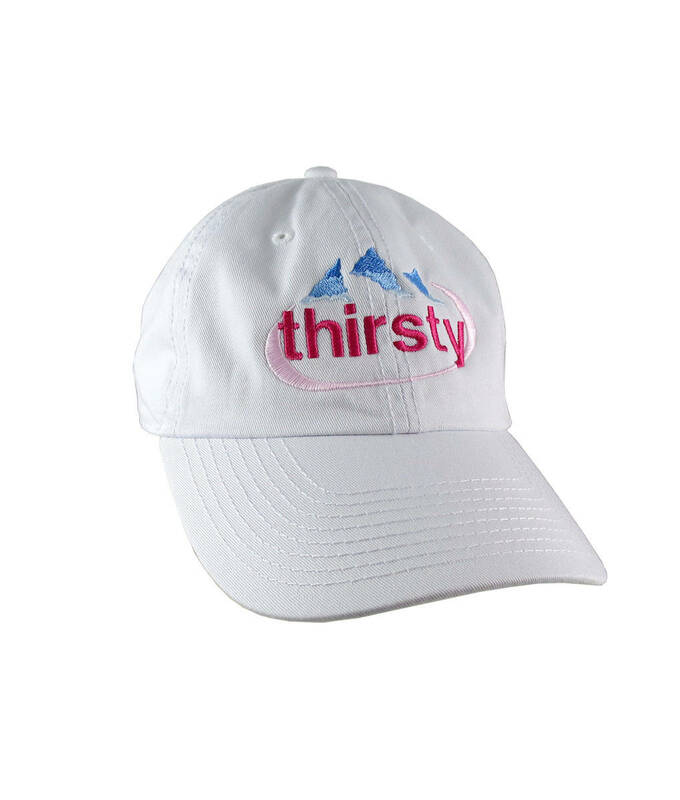 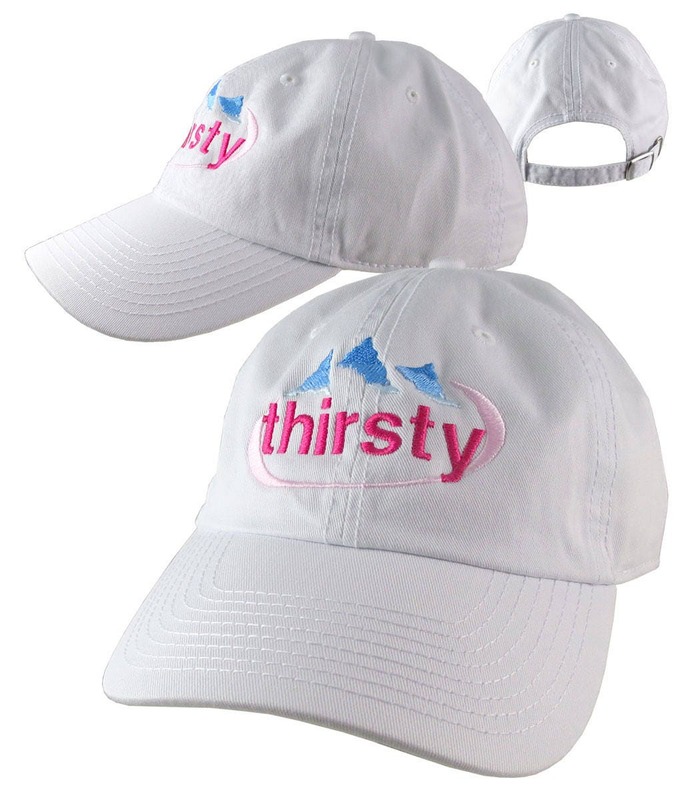 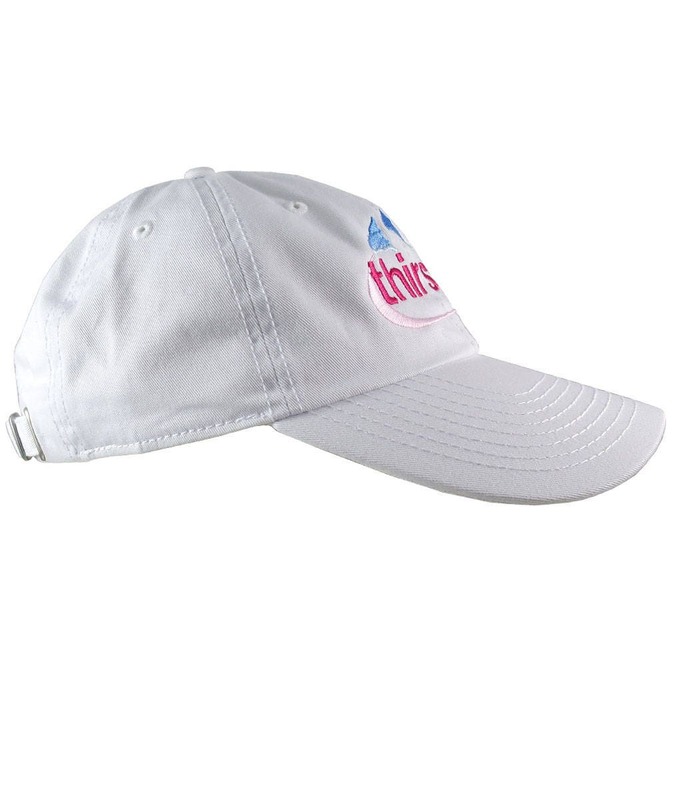 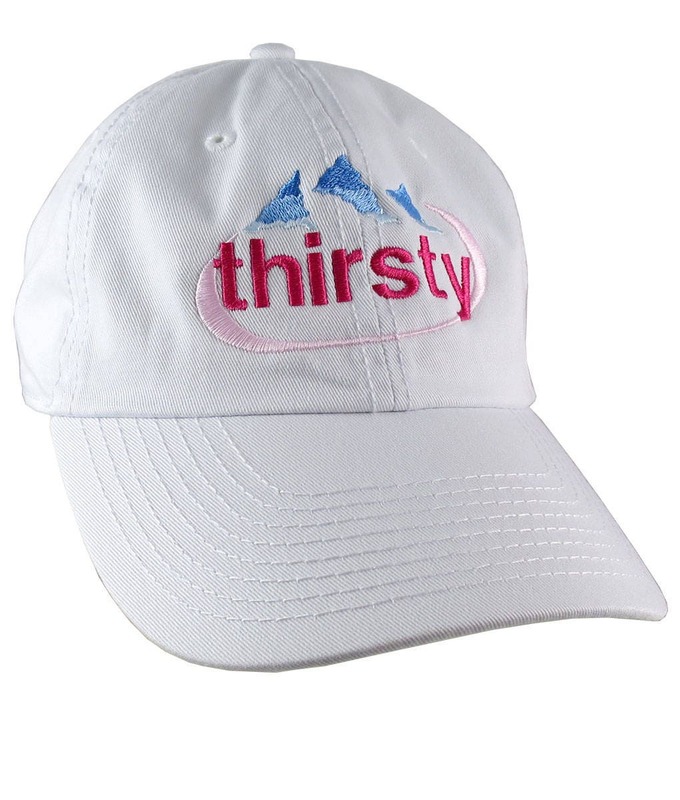 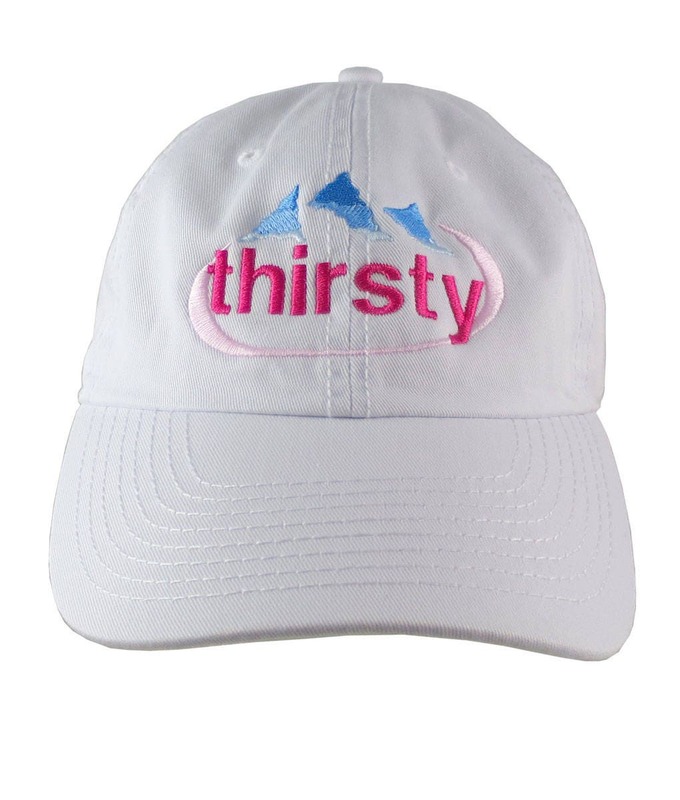 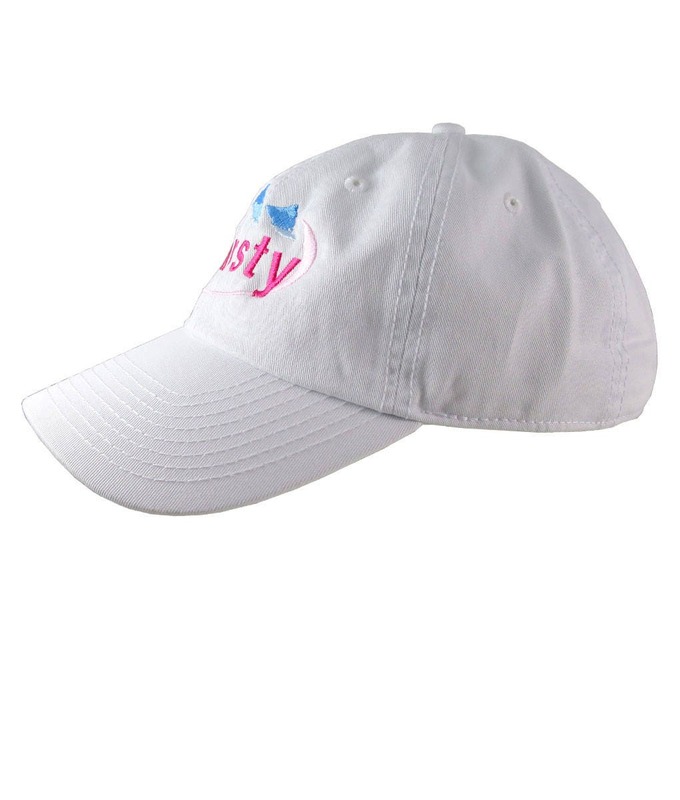 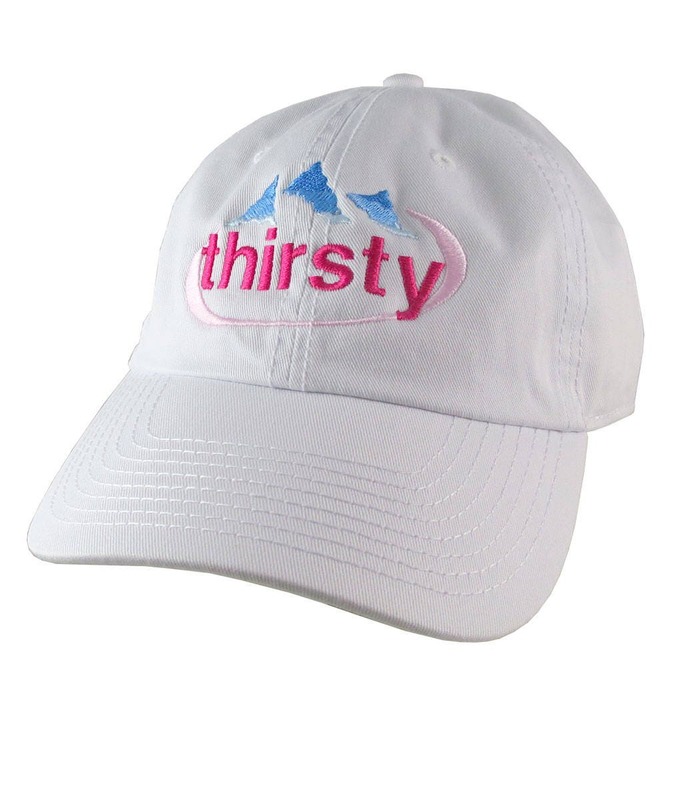 The hat features an Evian humorous parody "thirsty" embroidery. 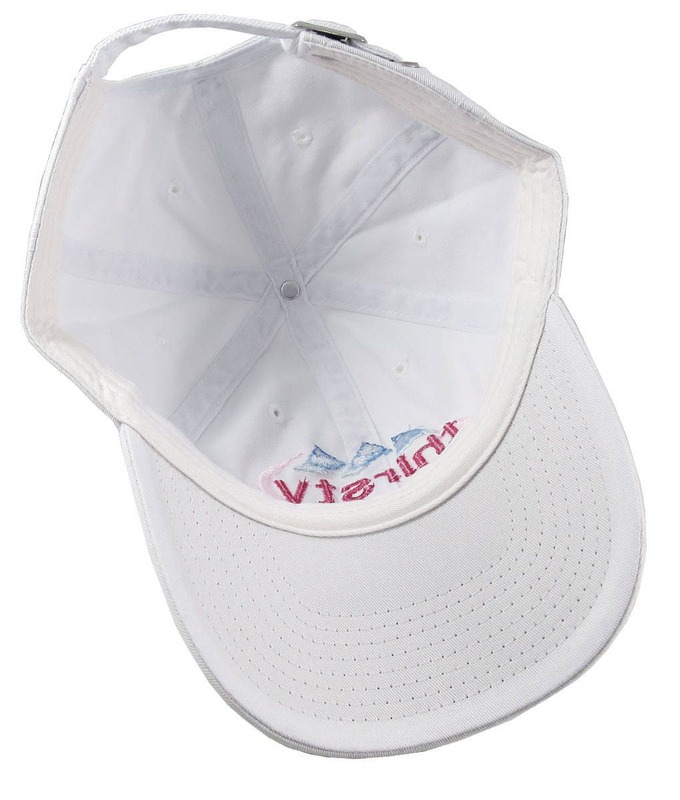 A great sporty gifting idea for your next party event.